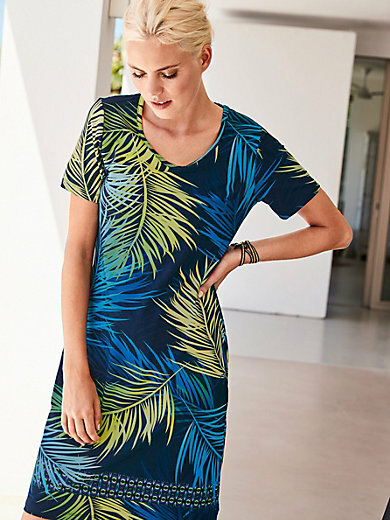 Dress by PETER HAHN: strikingly attractive with modern leaf print and trim at the hem. Top-quality, comfortable fabric made of jersey in 95% viscose, 5% elastane. Length approx. 39ins. The dress is machine washable.